What can I say? The show is just HILARIOUS. I adore Tina Fey as "Liz Lemon." It took me a while to get used to Tracy Morgan's character "Tracy Jordan," but now that I've adapted to his way of humor I don't find anyone lacking in their ability to give me laughs with every episode. Another comedy, yet of the animated variety. This show has it's hilarious episodes, and it's ones that are just so-so, but it's 30 minutes out of my day that I don't regret spending watching TV either way. 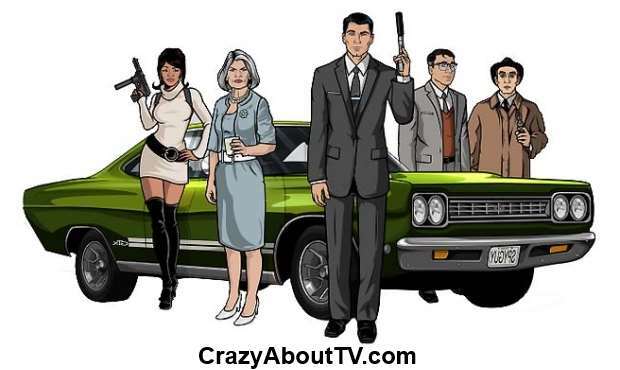 The story follows a spy/secret agency and the suave and self-centered spy Sterling Archer, along with his crazy and over-sexual mother, and slew of cooky co-workers including an ex girlfriend. If you like animated humor, you're likely to like this show. The pilot for this show actually airs tonight. It will be "auditioning" for me and the hubby, if you will. The premise sounds really interesting, and when I first saw the commercials for the show I thought it was a preview for a movie. The main character has a car crash with his wife and son. After the crash every time he goes to sleep he switches between two realities, one in which his son survived, and one in which is wife survived. I'm really looking forward to watching it tonight and seeing if it will be a permanent addition to my TV line-up.